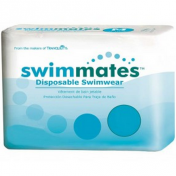 SlimLine Original Junior Briefs are an ultra then diaper for youth that conforms to the body for a comfortable fit while providing heavy absorbency. 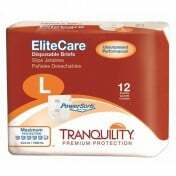 The peach core of these incontinence briefs contains superabsorbent polymers that guarantee skin dryness, odor reduction and urine pH neutralization. The wetness indicator turns from yellow to blue when moisture is present, thus eliminating unnecessary changes and reducing costs. 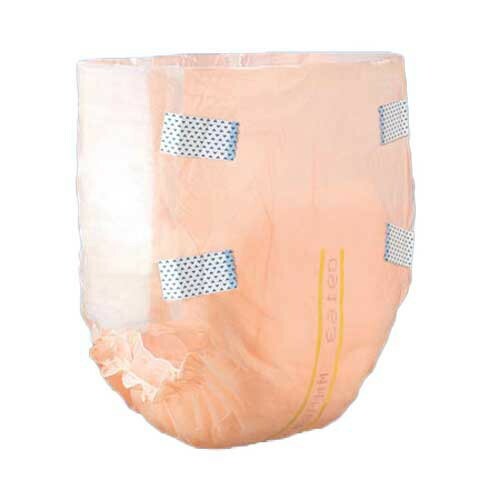 Kufguards® (inner leg cuffs) to channel fluids into the core, helping to contain high volume urge episodes and bowel incontinence. The Junior, X-Small and Small sizes feature a cloth-like backing and micro-hook closure tabs. The Medium, Large and X-Large sizes have poly backing with refastenable tape tabs allowing for multiple opening and closing of the brief. Available in six sizes. 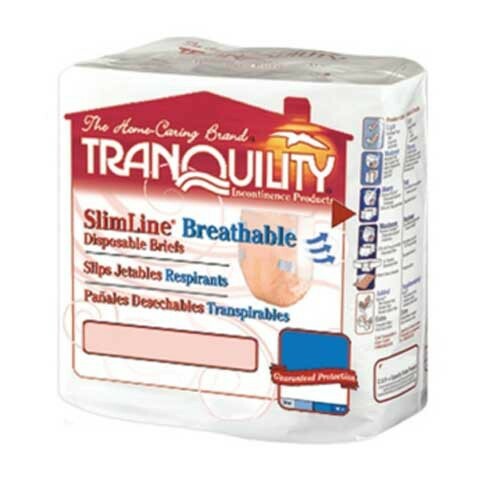 Tranquilty also manufactures incontinence underwear, booster pads, male guard pads, liner pads, overnight diapers, and disposable underpads. 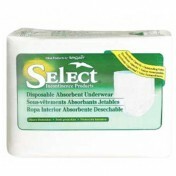 Tabbed briefs with refastenable tabs. 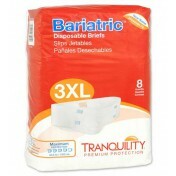 Tranquility SlimLine Original Junior Briefs Product Numbers: 2112. Weight Size: 28 to 42 lbs. 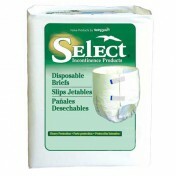 Our child isn't ready to be potty trained but has outgrown the size 7 pampers available (which are not nearly "diaper absorbent") These work far better and fit her well so that she is still able to move and very absorbent.